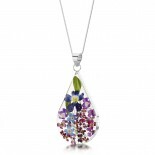 Ladies sterling silver necklace from Shrieking Violet. 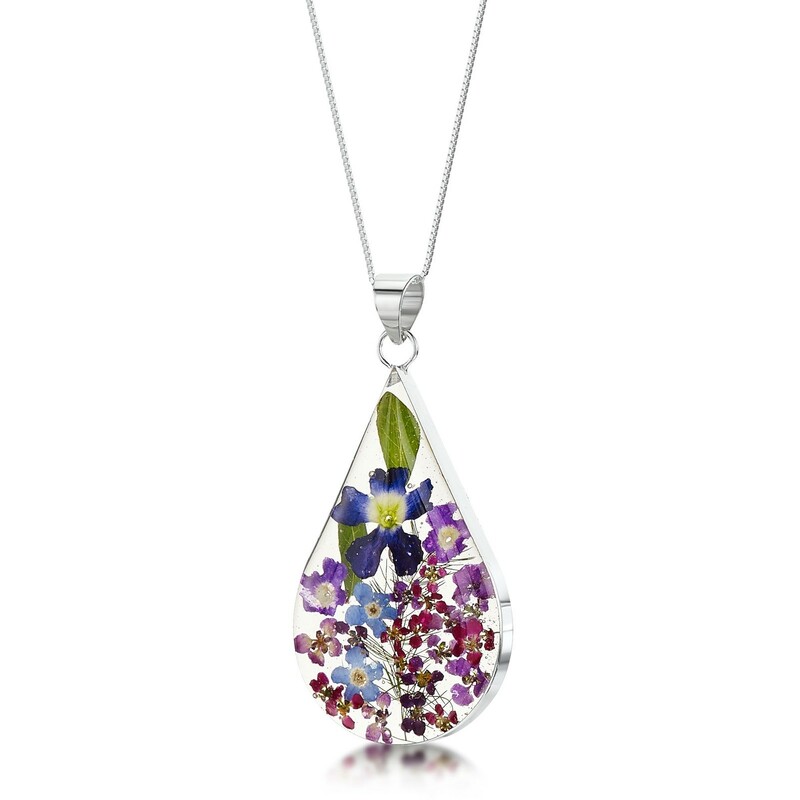 Crafted entirely by hand, this large teardrop pendant is filled with real tiny dried flowers carefully preserved in resin. Looks absolutely stunning on, a real eye-catcher. Supplied on an adjustable 18inch silver sterling chain. 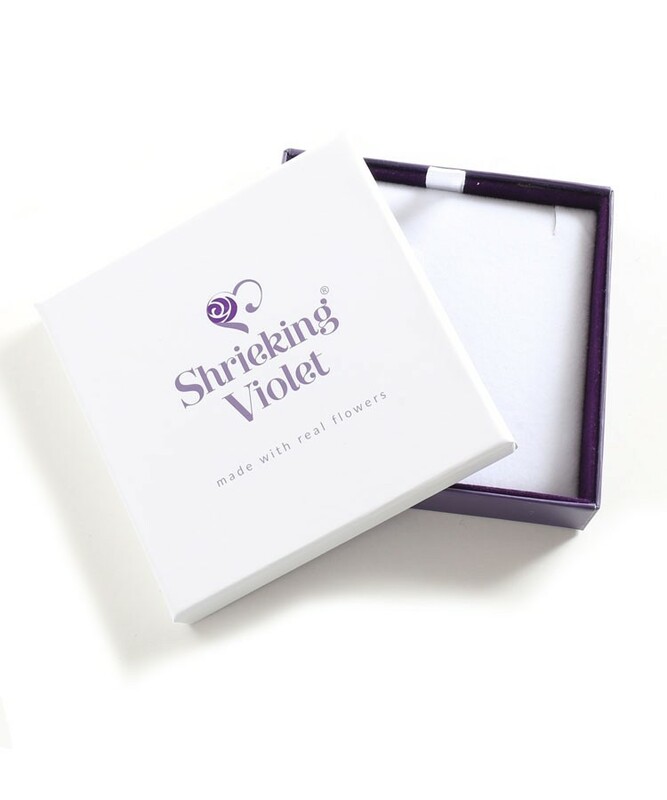 Also presented in a stylish gift box for the finishing touch making the perfect gift for any occasion.